Along with many NZNO and SFWU members, senior NZNO delegate and activist Grant Brookes attended the second Caring Counts summit in Wellington last week. Here are his thoughts about progress to date and possibilities for the future. Slow progress and a determination to keep pressing ahead were the two themes which emerged at the Pre-Election Summit of the Caring Counts Coalition, held in Wellington last week. 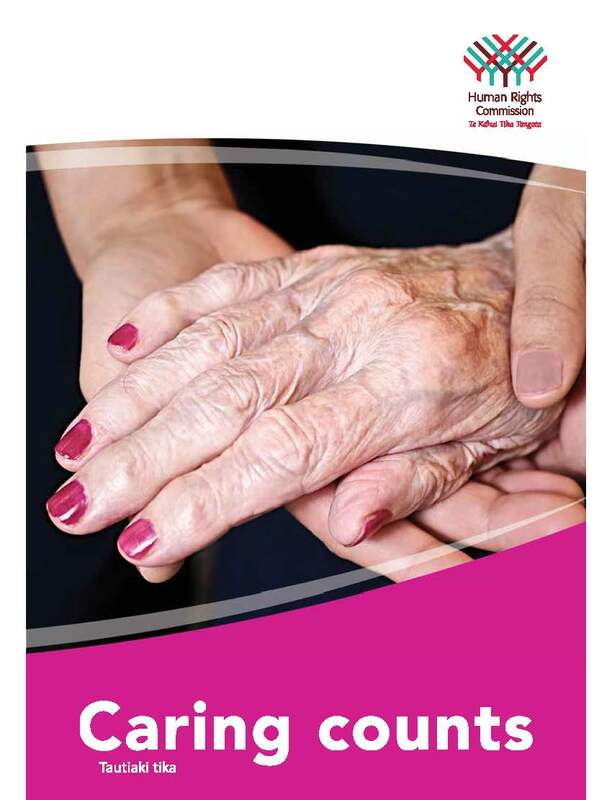 The Coalition was formed to promote the recommendations for aged care in the Caring Counts report, published by the Human Rights Commission in 2012. The Coalition includes NZNO and the Service & Food Workers Union Ngā Ringa Tota (SFWU), along with government officials, community groups, aged care providers and their industry umbrella group, the Aged Care Association. I was there to show the support of the NZNO National Delegates Committee for the DHB Sector. The venue was St Andrew’s Church. Opening the Summit, SFWU aged care spokesperson Alastair Duncan said it was appropriate it was being held in a place associated with miracles. “The miracle is that the Coalition has continued”, he joked. The Summit was held as Kristine Bartlett’s historic case for Pay Equity in aged care winds its way through the courts, supported by NZNO and SFWU but opposed by Terranova Homes and the Aged Care Association. This case has attracted much media attention, including feature stories on Campbell Live. Of the ten recommendations in the Caring Counts report, Summit participants heard that progress has been made towards the goal that “all new staff achieve a Level 2 Foundation Skills qualification within six months of starting and that all existing staff achieve this qualification in the next two years”. The number of staff achieving Level 2 qualifications has doubled since 2012, from 6,000 to 12,000 people a year. The Careerforce Industry Training Organisation has a goal of 30,000 staff enrolled by the end of 2016. But it was acknowledged this still wouldn’t be enough to maintain the proportion of qualified staff, assuming staff turnover of 20 percent each year. Actual turnover is probably higher. Progress on other key recommendations around pay and safe staffing, however, is even slower. No significant movement has been made towards “pay parity between health care assistants working in DHBs and carers working in home support and residential facilities”. And there is no sign that the voluntary standards, including minimum staffing ratios, will “become compulsory to ensure the protection of both carers and older people”. She also talked about her case, now before the Court of Appeal. “Earlier this year the Service Workers and the Nurses Union made a video talking about the equal pay case and the need for other women to join the case”, she said. Kristine also shared her own “scorecard”, about how aged care is progressing towards some other Caring Counts goals. “Leadership. This is the one directed at the Prime Minister. Of all the recommendations, it was probably the easiest to enact and the one that could have sent the strongest message about government intentions. “Putting the Minister with responsibilities for older persons into the top ten cabinet positions would have been politically smart and easy to do. “Instead what did we see from the government? Having ensured the Ministry of Health was not in the Employment Court they then sought to intervene at the Court of Appeal – opposing the Employment Court decision. “Not that I expect them to be listening to either my union or NZNO, but having been told by the Aged Care Association that the sector needed five or even six percent to stand still they funded a miserable one percent. “Invited to attend the Careerforce conference earlier this year, the Government didn’t turn up and prevented Ministry of Health officials from attending. “The only real leadership we’ve seen from this government in aged care has been in the wrong direction”. Kristine concluded by reminding us of the upcoming general election. After morning tea, participants broke into groups and came up with questions for the politicians who were joining the Summit after lunch. He said a Labour led government would provide enough funding to cover inflation and population growth, year on year. Green health spokesperson Kevin Hague pledged to make DHBs pass on all the aged care funding increases to the sector. “But the industry must also pass through the funding they receive”, he added. In 2006-7, employers took the DHBs to court to avoid paying government-funded wage increases. He said that even in the depth of the Global Financial Crisis, the government had enough money to fully fund health, but chose to spend it instead on tax cuts and Roads of National Significance. The National Party was also invited, but did not attend. Summing up the day Dr Jackie Blue, EEO Commissioner at the Human Rights Commission, commended the Caring Counts Coalition partners for their ongoing commitment to aged care. Tags: aged care, caregiver, Caring Counts, collective action, equal pay, fair pay, funding, health politics, HRC, summit | Permalink.